According to a new study by scientists of Scripps Institution of Oceanography in San Diego, the amount of plastic trash accumulating in the “Great Pacific Garbage Patch” in the northern Pacific Ocean has increased 100–fold since the 1970s. 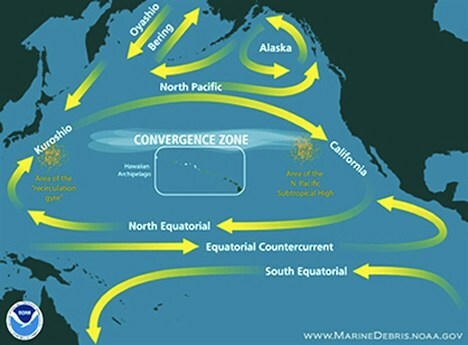 The Great Pacific Garbage Patch is a large area of the North Pacific Subtropical Convergence Zone, about the size of Texas, where plastic garbage gets swept by ocean currents. Scientists have discovered a large amount of human-generated trash floating across the open ocean, most of it broken down into tiny pieces about the size of a fingernail. This trash has accumulated in large quantities over a relatively short period of time, just 40 years. In the research published by journal Biology Letters, it was found that tiny insects known as water striders are laying their eggs in the garbage in greater numbers than before. Nine percent of fish in the area also had plastic waste in their bellies, and fish in the intermediate ocean depths of the North Pacific Ocean are now estimated to ingest between 12,000 to 24,000 tons of plastic every year. 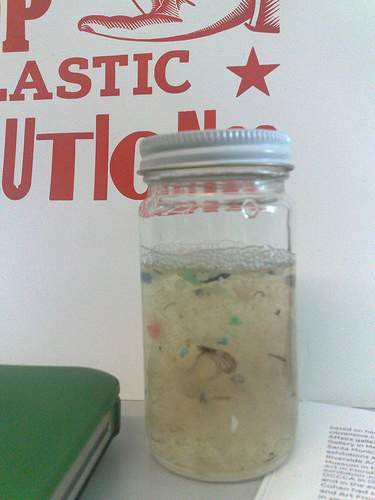 According to Oceanographer Curtis Ebbesmeyer, creator of the term “Great Pacific Garbage Patch”, the only way to stop trash from accumulating in such alarming quantities is to use biodegradable plastic and allow it to disperse over time. His theory? In 10,000 years, scientists will find a layer of plastic in the ground leftover by ancestors they’ll start calling “the plastic people.” Considering how much plastic we use now, that’s not unlikely at all! Is it so much to ask that we stop using so much non–biodegradable plastic as a society, and start recycling as much as we can? It’s becoming obvious that just because the middle of the ocean isn’t visible to us, doesn’t mean all this plastic waste out there will never come back to haunt us.